What sewing machine do you recommend? I am no authority when it comes to sewing, but I do have some wide experience and long, long hours spent creating, so I thought I’d share with you the machine that has been with me since 2008 and has never once let me down. It’s smart, but not too smart. The biggest upset point with sewing machines is thread tension and this machine has never given me any issues with that. Some of the new machines have so much built in that if you want to do crazy things, they can be limiting. It has the perfect amount of stitches. There was a time when I wanted to get creative and use fancy stitches on hems and the Confidence has 99 stitches that are fun, classic, and easy to adjust. It’s controls are so easy to use. Lights, beeps, and a slide-out diagram of the stitches make it super simple to understand and adjust. It has a needle threader. Seriously the greatest invention in the history of sewing, next to the machine of course. No licking threads, winking, sore fingers, or trimming ends! I think the needle threader alone has saved me hours of time over the years. Sometimes the little “hook” on the threader gets bent, but it’s super easy to just bend it back in place with a pin and keep going! The drop-in bobbin isn’t picky about bobbin shape. I’ve used the clear straight bobbins, clear rounded ones, and metal straight ones and they all work just fine. Makes it so much easier when I have to change thread colors! It handles thick fabrics like a boss. Okay, so it does start to hesitate a bit when I try to put 8 layers of 12oz denim through it. 😉 I’ve sewn all my denim skirts on this machine and it’s always performed beautifully. It handles spandex and knits like a champ. I am not scared one bit of silky fabrics, thin knits, or stretchy swimsuit material. I’ve used it for dozens of modest swimsuits over the years. 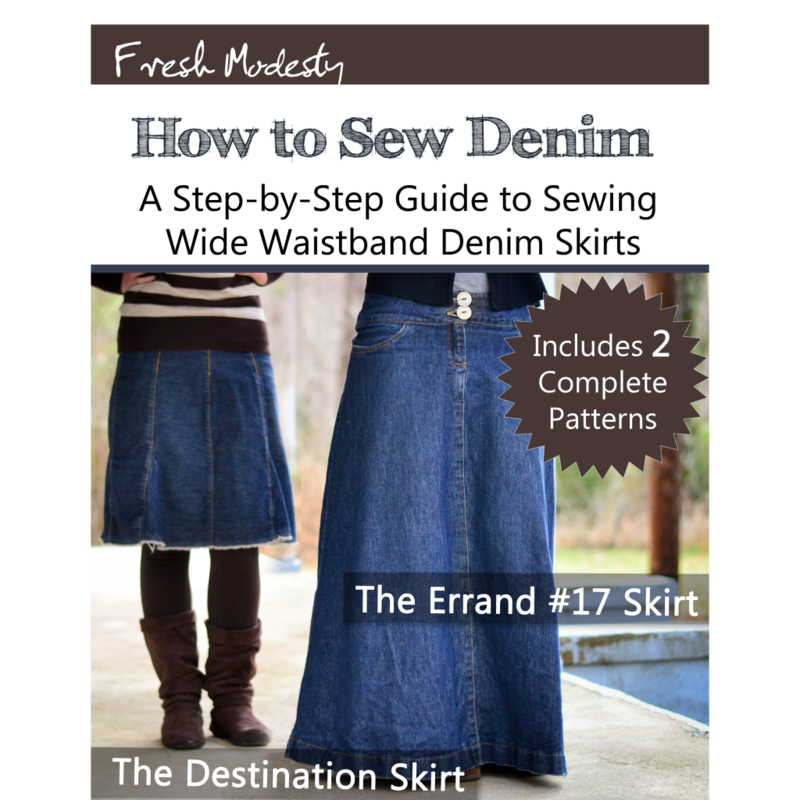 (click here for an eBook on how to sew your own!) Plus, on Amazon it comes with a “walking foot” that helps with really slippery fabrics or things that like to get bunched up. It’s sturdy. Because it’s made for quilting, it can withstand hour after hour of use. I’ve never had to have it serviced and I’ve put it through a lot these last 6 years. Occasionally when I’m sewing fluffy or particularly fibrous fabrics some lint will get balled up under the bobbin plate. All I have to do is use the little screwdriver to take the plate off, use the brush it comes with to clean it out, and put the plate back on. The feet are so easy to switch on and off. There’s just a little lever that you push to drop the foot and snap on the next one. Button-holes are a breeze. Did you hear that? BUTTON HOLES ARE A BREEZE. No more nightmares and avoiding projects with them! 😉 You can either have the machine do them automatically or you can custom sew them with the various stitches. You can use giant spools of thread with it. I usually just use that cheap-o serger-sized thread on the top instead of the horizontal pin (it comes with a little plug so you can have a second spool and double needle) and it works great. 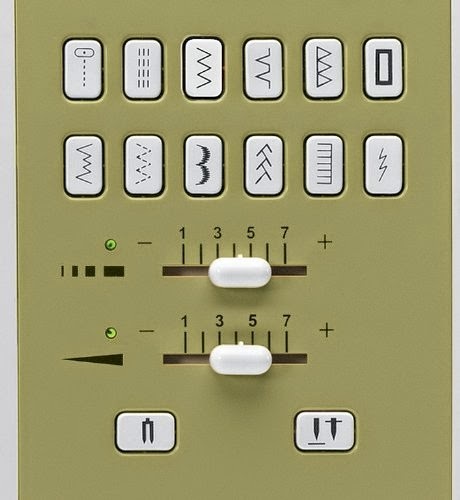 The reverse button is the bomb. It took some getting used to when I first got it because I was used to a lever you had to pull, but now I love not having to guess how much back-stitching is needed to lock the stitch, since it does it automatically. It’s an awesome price. Amazon has it for $250 as I’m writing this. That’s less than what I got it for on-major-sale at Jo-Ann’s. It comes with seven different feet- pretty much the only ones you’ll ever need- and a cool little desk thingy in case you’re actually quilting or have a heavy project that you don’t want to pull. I usually don’t have the table on it but do appreciate having that option. I hope this post has been helpful for those of you who are thinking about getting a new sewing machine soon. It is SO worth the investment to get something that’s not a cheap $100 toy. I fully believe I would not love sewing as much as I do if I had a machine that gave me fits. 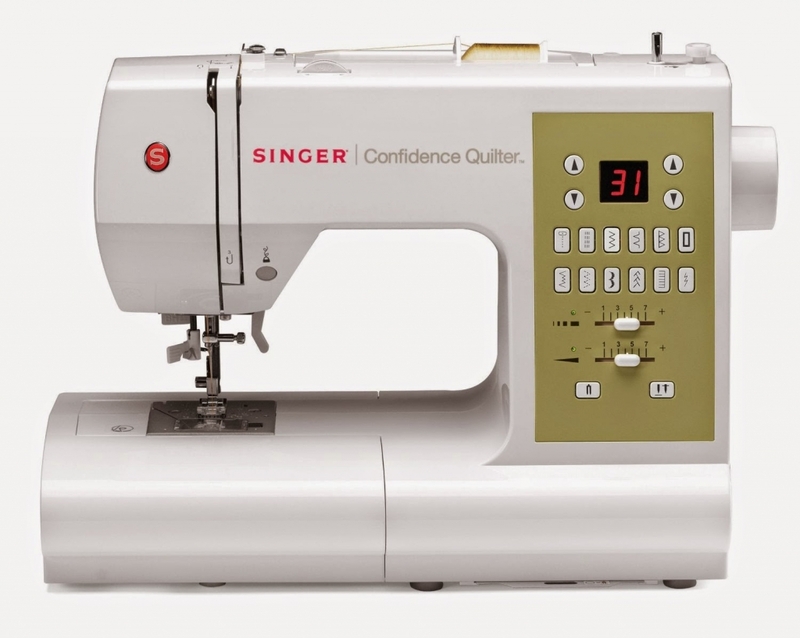 If you or your sister or daughter or mother or best friend or brother or random neighbor are considering getting into sewing or upgrading their machine from the 80’s, I highly recommend the Singer Confidence Quilter . And there you have it, hun. Are you in love with your sewing machine? Which do you recommend? Oooh. Now that's a cool machine! But a machine that doesn't throw fits is the *biggest* factor in whether you like sewing or not. I speak from experience ;). It sounds like a great machine. It seems a little easier to use than the one I have, but it does cost more. It seems you get what you pay for! I love my machine. 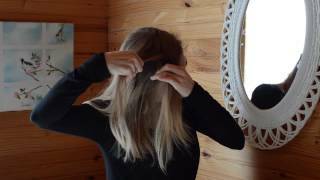 It goes through several layers of denim like a pro! I've never used a Singer model, but my mom has. Since I got my Husqvarna machine, we've never used anything else! 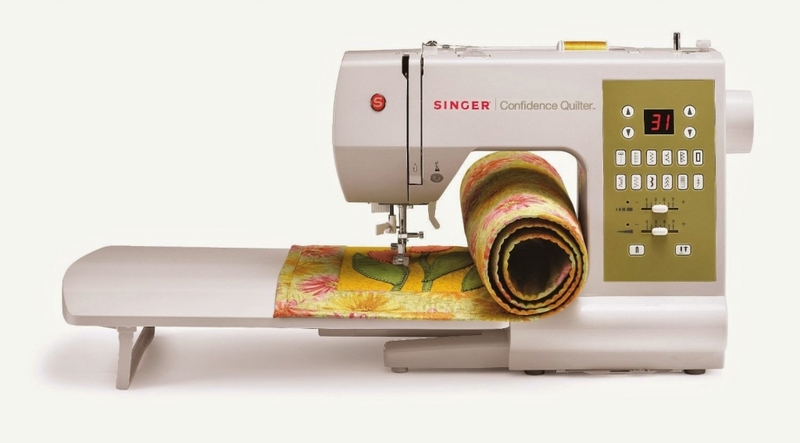 Olivia, I don't even sew and I feel like I need this machine after that fantastic review! Wow! I'm just beginning to delve into the world of sewing, (like still chants: "I'm sewing! I'm sewing! I'm really really sewing!" while I work. It's kind of pathetic. 🙂 but I will DEFINITELY keep this in mind if I ever feel I'm ready to upgrade from my $40 garage sale find. 🙂 It sounds amazing! And $250?!? Crazy! Are you personally custom hemming all 300 skirts? I thought you would have L.C. King do it for you, no? Thanks for all the advice and encouragement you give us through this blog! Haha this post is like reading a foreign language to me, but it was so engaging. If I ever use a sewing machine it'll be this one! Wow olivia this sewing machine looks awesome!!! I have a singer as well, but its a cheaper one, so not nearly as good as this! If I ever needed a new machine, I'd definitely get this one!! Thanks for sharing! I have this machine and it's great! It's awesome that it comes with a quilting table that fits it. I have used a variety of machines, and found that for me, Kenmore and Janome have been the best! I love my Janome machine! I started sewing 16 years using a White (Denim) sewing machine and then had the opportunity to get a Pfaff in half price sale. I did denim curtains on the white machine, great for thick fabrics but a bit difficult with heirloom sewing using satin batists. It has a presser foot that graduates for layers of denim fabrics and does great buttonholesite compare to Pfaff but the Pfaff are so much smoother and consistent for fine garments. (I did a lot of French heirloom sewing for baby and christening gowns, and children garments for my son). Love my Pfaff, trying to get another one through eBay is too difficult with the nasty competition. But I will considering using top end singer machines again after your review, and when I try doing the denim skirt! After years of no sewing, I am just starting to sew for myself, trying to loose this fear, and found your blogs for this patterns I purchased on that closeout of Hancock fabrics. Hi! How would you answer this question now? Thank you!